Today's FT had an article talking about Warren Buffett's plain, folksy, speaking style, his use of metaphors and stories which make him a captivating person to listen to, or fascinating person to read. 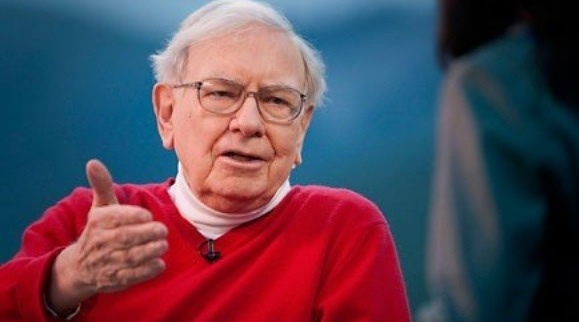 (Memo to colleagues wanting to learn about business: read Warren's letters to shareholders, in Berkshire Hathaway's annual reports, available online). The article mentions his talk to MBA students in 1998 at the University of Florida, which I had not heard of before, but I have just spent a very happy hour or so listening to them on YouTube. Brilliantly for such a speech, the actual prepared element of it is very brief, a few minutes, since, as Warren says, he is more interested in talking about what is on the students' minds, so nine tenths of the talk is him doing a Q&A session. As a committed Buffetite/Grahamite, much of what he said wasn't new to me, but wonderful to listen to. The initial talk, about integrity, intelligence and energy, was something I had not seen him write about, and was wonderful. He asks the audience to buy 10% of one of their colleagues future careers; and go 10% short on another of their contemporaries; and the same for competitors in business, too. Very insightful.